Charles Wesley’s hymn “And Can It Be” (1738) is one of the greatest hymns of all time. It’s a powerful proclamation of the good news of the Gospel, and full of amazing images of the freedom that Jesus purchased for us on the cross. I’ve always loved this hymn, and as a worship leader I’ve been drawn to it simply because of the lyrical powerhouse that it is. It packs a punch and doesn’t need any musical help to get the message across. For years, I had been using Enfield‘s excellent arrangement, which preserves Thomas Campbell’s original tune (from 1825) but refreshes it in a very effective way. Last year I wrote a new arrangement of this hymn with a new melody, different arrangement, and an added chorus. Messing with “And Can It Be” was risky since the original wording and tune are so familiar to most congregations. But I gave it a try, and the result was “How Can It Be”. I’ve been pleasantly surprised by how it’s clicked with my congregation, and I wanted to offer it as a free download in the hopes that it serves your congregation too. We included this song on our recent live worship album, “We Will Proclaim”. 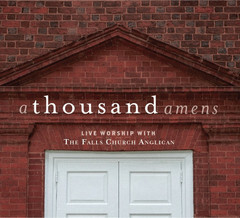 You can order the CD for $10.00 at http://www.tfcamusic.org, or also find the album on iTunes or Amazon. Or click here to download it on iTunes..
And here’s a free chord chart. Do you really need that 4-measure interlude between the chorus and verse? Could you cut it out altogether? Could it be more effective if it was just 2 measures? Extra measures can drag a song down. Cutting out 2 measures here and 2 measures there can make a huge improvement. You hear this a lot and you know it’s true, but do you and your team members practice it? Probably not. I need to do a better job insisting that all of our team members, and this includes me, play less and play better stuff when we do play. We’re able to fix so much stuff in post-production that it’s almost ridiculous. The result is a great-sounding worship album, but the danger is that worship leaders and congregations expect Sunday mornings to sound like a worship album. Except for rare circumstances and rare teams, your Sunday morning services will not (and should not) sound like a recording. Relax. It wasn’t long after our first album released last July that I knew we’d be doing another one in 2013. So every time I thought about introducing a new song I had to think “is this a good enough song that I’d want it to be immortalized on an album, put in the cars and homes of my congregations, and held up to other worship leaders who buy this album as a song they should do as well?” Most songs didn’t meet that criteria so I didn’t introduce them. It was a high bar. But I don’t regret it. Set a high bar for what songs you introduce. As our latest live recording in July was getting close, I had lunch with a good friend of mine who’s a gifted worship leader/arranger/composer. He cautioned me against doing songs the exact same way they were recorded. Change a chord here or there. Do a different melodic thing on the intro/interludes. Whatever. It doesn’t have to be much. Just use your brain and your creativity and freshen up a song. Good advice. 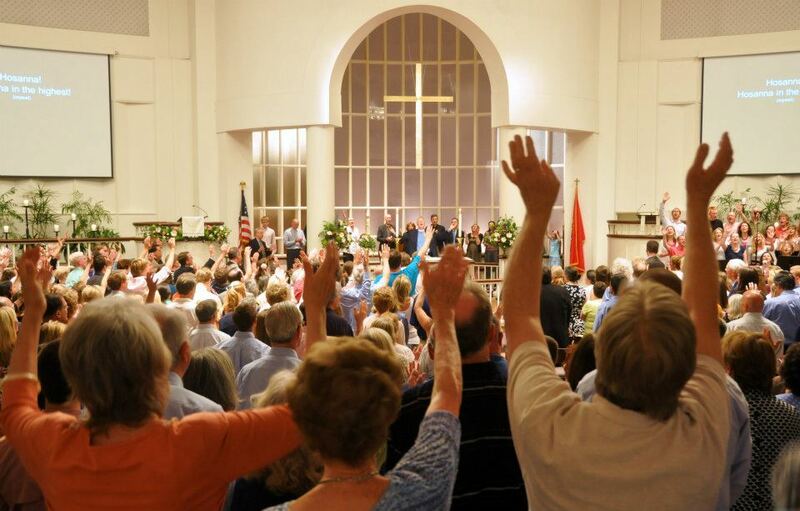 The two times we’ve recorded live worship albums, I’ve been amazed at my congregation’s response to the lengthy times of worship that we’ve offered on a Friday/Saturday night or even on a Sunday morning. They sat down when they wanted to. They stood when they wanted to. They wanted more at the end of 90 minutes. They seemed rejuvenated. So did I. I shouldn’t wait for album recordings as an excuse to offer extended worship. I should look for other times as well. I’m not talking about a “song” as in an individual song, but I’m talking about “song” in a bigger-idea, over-arching-narrative sense. Our first album was recorded when we were losing our building. Our “song” was that Jesus was “all to us” (which happened to be an actual song, too). This time we recorded an album after a year and half of being a portable church without a home. Our “song” was the faithfulness of God and the unchanging power of the Gospel. What “song” is your congregation singing? What song should they be singing? Keep your ear to the ground and you’ll hear it. The last few months I’ve been hard at work recording two very different albums with my church that will be released this Fall. I’m excited about them both! 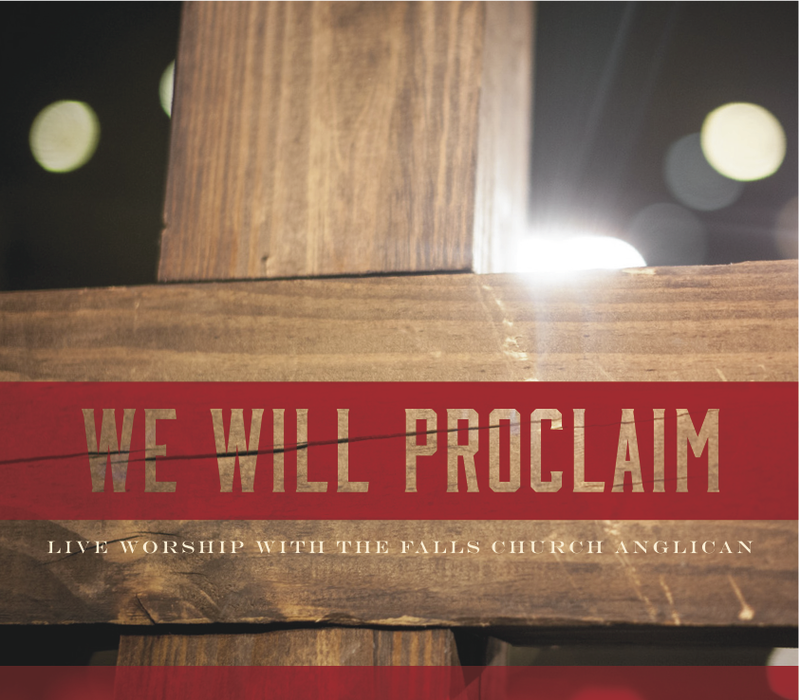 The first project, “We Will Proclaim: Live Worship with The Falls Church Anglican” was recorded live a few weekends ago (July 13th and 14th) and features many of the same musicians who participated on our first album last year. 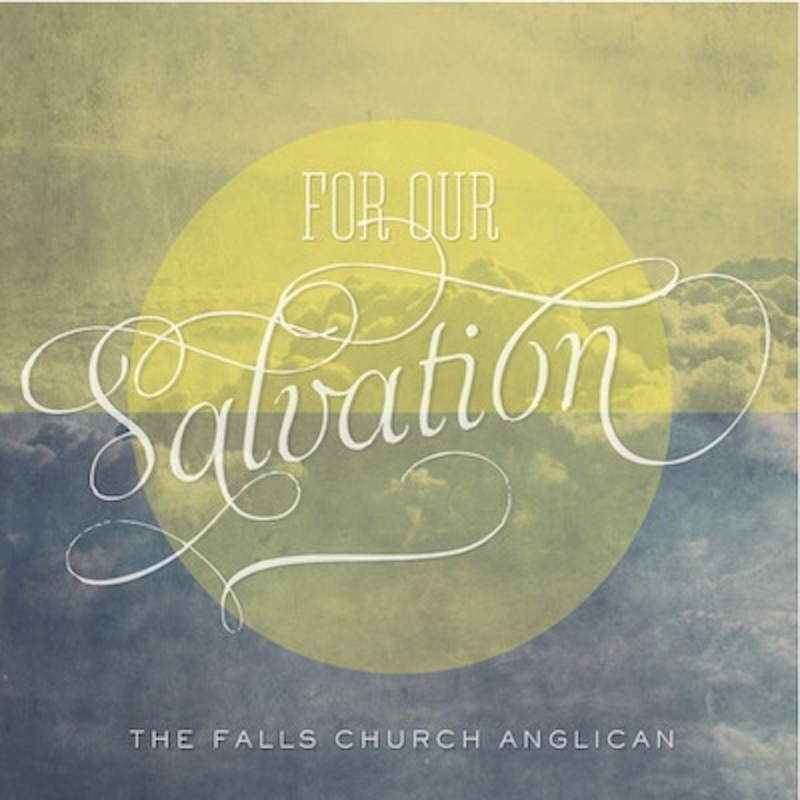 This album features 14 congregational songs, a mix of familiar/original/contemporary arrangements or retuning of hymns, and follows a liturgical pattern of an Anglican worship service. We incorporated many liturgical elements such as a Call to Worship, the Prayer for Purity, Apostles’ Creed, Confession, General Thanksgiving, and a Benediction. We hope to cram as many songs and liturgical elements onto this album as physically possible! This album features a full band, strings, organ, and loud congregation. The title “We Will Proclaim” comes from the Matt Redman song “How Great is Your Faithfulness” that we recorded. The chorus of that song says: “The heavens ring, the saints all sing / Great is your faithfulness / From age to age we will proclaim / Great is Your faithfulness / How great is Your faithfulness”. If you know anything about the story of my church over the last few years, you’ll know that we’ve been clinging to this reality that God is faithful. The heart behind this live album is to capture a congregation that’s been tested and tried, and continues to proclaim the faithfulness of God and the power of the gospel. I’m trilled with how this album is turning out, and I’ll share snippets of it with you as soon as I can. You can preorder this album at www.tfcamusic.org. The second project, “For Our Salvation” is an Advent EP that was also recorded in mid-July using the same musicians from my church, as well as friends from Nashville and L.A. who played on the worship album. This EP features 6 songs, one of which is an instrumental piece, four of which are traditional Advent hymns, and one of which is an original song of mine. An amazing youth choir conducted by my sister-in-law sings on three of the songs, and the whole EP features some of the best string players from Nashville playing original orchestrations by my friend Joshua Spacht. The title for this EP comes from the hymn “Lo! He Comes with Clouds Descending” which has the line “Lo! He comes, with clouds descending / Once for our salvation slain”. This echoes the line from the Nicene Creed which says that “for us and for our salvation (Jesus) came down from heaven”. Some of the hymns of Advent can get treated as dusty relics that are inaccessible as songs of worship. This is a shame. The heart behind this EP is to offer these songs as vibrant, powerful tools to worship Jesus as the one who came down for our salvation as a “beautiful baby boy”, and the one who will come again “robed in dreadful majesty”. I’m thrilled with how it’s sounding and I will share it as soon as possible! My sincere hope and prayer is that these two albums are a blessing to my congregation, a blessing to anyone else who hears them, a tool to help people worship Jesus, and a gift to worship leaders who are always looking for songs to incorporate in their own setting. Every measure of every song was designed to be singable for the average congregation and playable for the average worship team. I’d appreciate your prayers over the next two months as we get them both ready!